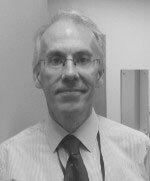 Mr Mavor trained in Yorkshire and after a vascular fellowship in Toronto was appointed to the post of Consultant Vascular Surgeon in Leeds in January 1994. Mr Mavor has a large NHS practice based at the Leeds General Infirmary and Wharfedale Hospital. He has extensive experience in the management of arterial and venous disease, including endovascular treatments and minimally invasive treatment of varicose veins and hyperhidrosis. Mr Mavor also sees and treats patients with thoracic outlet syndrome and related conditions, renal failure requiring vascular access and peritoneal dialysis and vascular aspects of oncology. Mr Mavor has wide experience in most aspects of general surgery, although from 1994 most of his caseload has been vascular in nature with some minor general surgical work. Since the Major Trauma Centre opened in the Leeds General Infirmary in April 2013 Mr Mavor has been a member of the Trauma Team and am responsible for the management of patients with vascular, abdominal and thoracic trauma. Mr Mavor has a busy medico-legal practice. He accepts instructions for reports on complications of arterial and venous surgery, thromboembolism, soft-tissue injuries resulting in vascular complications, reports on orthopaedic trauma with vascular complications, and reports on Hand-Arm Vibration syndrome (HAVS) and Vibration White Finger (VWF). Mr Mavor supervised postgraduate students completing a PhD (2001) and an MSc (2004) on venous disease. Mr Mavor’s main role now is facilitating and developing work within the department working alongside his academic colleagues.